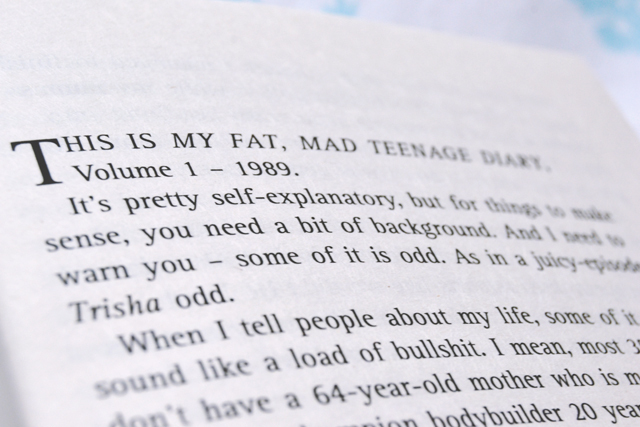 My Mad Fat Diary was originally published as My Fat, Mad, Teenage Diary but, after being turned into a comedy drama on E4, the book was reissued to reflect the TV adaptation. I'm a huge fan of the series as I can relate to it so well from my own teenage years, so I was really excited to read the book. Rae Earl is a 17 year old rock-loving social outcast in 1989, desperate to lose weight and find a boyfriend. 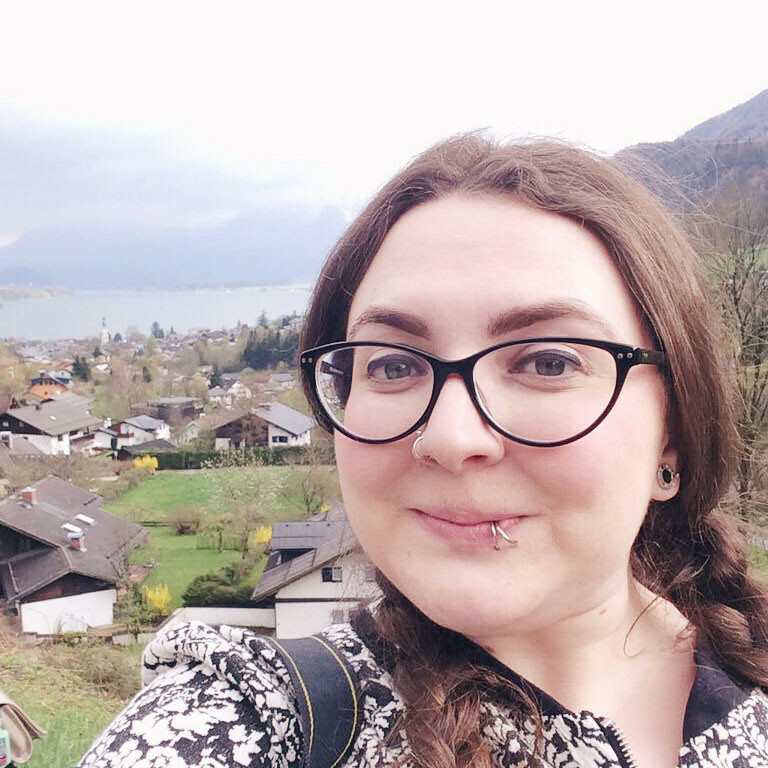 Although she has a solid group of friends who appreciate her fantastic sense of humour and great taste in music, her mental health issues hold her back into a cycle of angsty teenage despair. As she attempts to find her place in the world, she pours her innermost thoughts into a diary. 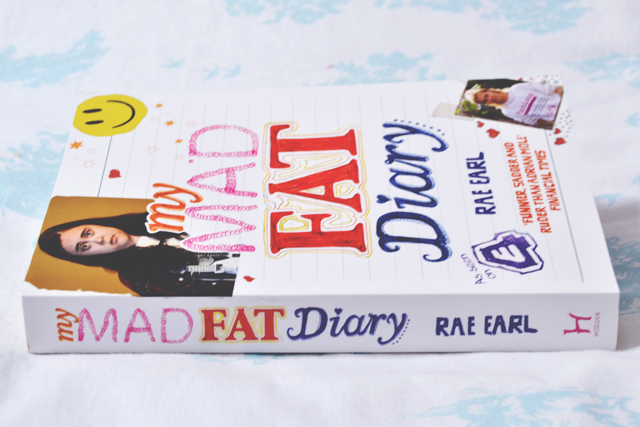 This diary, the real diary of the very real Rae Earl, makes up the book. As an adult who looks back in exasperation at my own angst-ridden teenage diaries (you can read them here), it was crazy how much I could relate to Rae. It was just like reading my own diaries from when I was 17. In fact, there were sentences that were almost identical, such as "God, she's so lucky to have me!" when Rae is fuming at a perceived injustice from her mother. I wrote exactly the same thing about my own mum at 17. It's only now that I'm the wrong side of 25 that I can look back objectively and realise how self-centered both Rae and myself were. For an adult, it's a very wry read. We all know exactly what Rae is going through although, of course, she's convinced that she's the only person in the world who understands herself! I found the book to be very funny, not just in the irony of retrospect, but also because of Rae's wit and humour. Although it did make me chuckle, it was difficult to know how much of the writing was in her original diaries, and how much was written for publication. It doesn't make a difference really, but I was curious to know. Although I enjoyed the diaries, I did find that they became very repetitive and I lost interest towards the end. I understand that the idea was to create an overview of one year in Rae's life, but some of the events could probably have been ommitted to create a shorter, more engaging book. Despite this, I did find it a very interesting read, especially as I saw so much of myself in Rae's writing. I'm sure anybody who has survived their teenage years would have the same experience. I know what you mean about some of the situations, but over all I found this book so funny. Love the tv adaptation too! I did like it overall, I just thought it was a bit repetitive. I really love the programme! I'll definitely give this a read, I do love reading the book originals of TV shows I love! Me too! I usually try to read the book first though. Is it very similar to the TV show? I've been thinking about giving this one a go. Not really. Rae is very similar as a character but the other characters and situations are totally different. This has been on my to-read list for ages, I'll definitely have to give it a go after reading this review :) Although now that you've said she rewrote parts for publication, that's going to be in my head all the way through! I'm not sure if she did for certain. It made me wonder as I was reading it though. I suppose they can't have published the completely raw diaries, and would have to tweak it for interest. Oh no, I LOVED the TV show! What was cringey about it for you? This sounds really interesting, hopefully I'll be able to give it a read this summer!